Pelham, MA (July 6, 2018) – A pedestrian was struck by a car in Pelham, Massachusetts Thursday. The collision happened during the morning hours. Police have released few details about the accident and have not said where it occurred. We do know that a 71 year old woman was walking along the side of the road when a car hit her. She suffered injuries to her leg as a result of the impact. The woman was taken to a local hospital to be evaluated and she is expected to make a full recovery. No charges has been issued against the driver at this time but police say that they are still investigating the crash and that charges may come at a later date. We are saddened to hear of this unfortunate pedestrian accident in Pelham. 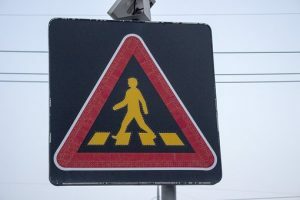 Pedestrian accidents are never easy to deal with because they often bring severe and catastrophic injuries, and even death. They happen suddenly and without warning.